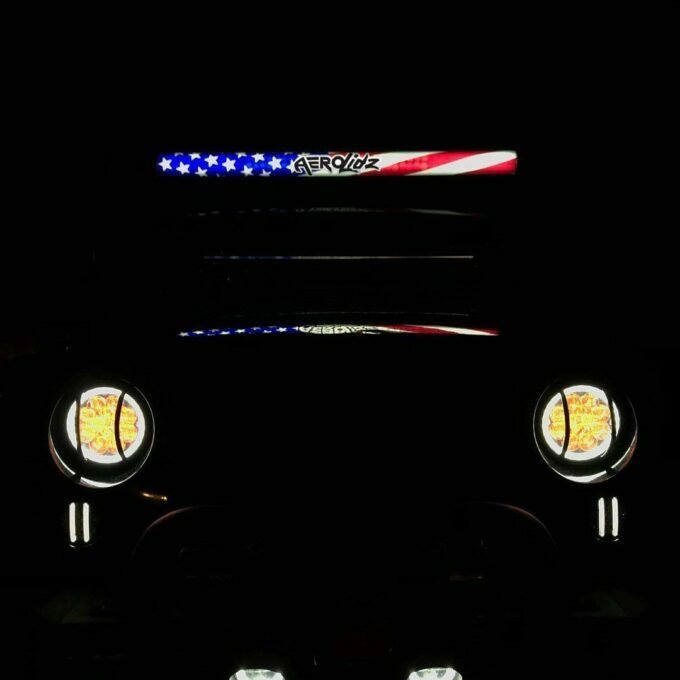 We all know we love our jeeps…as much as cool accessories that we add to make our jeeps our own, like a personality, am I right? Personalizing our jeeps is one of the fun things we do as making our investment safe and protected. I don’t know about you but I want my “baby” to be safe and to turn heads, as well as advertise who we are. So, let me introduce you to AeroLidz! AeroX Industries is a company built by my great friend and fellow jeep enthusiast Gabe Warner. 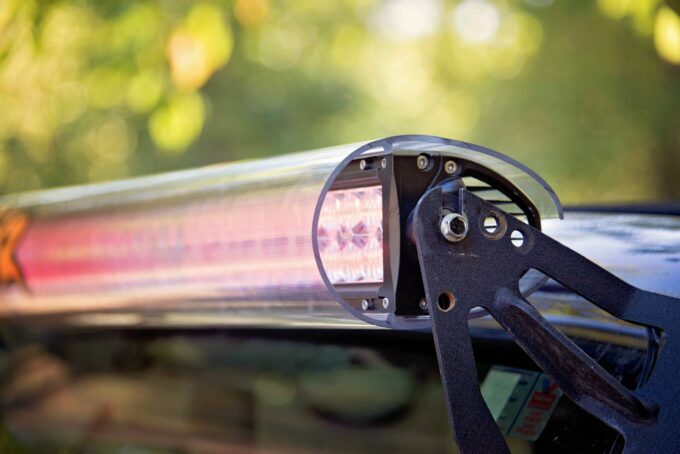 After his wife purchased a light bar for him for Christmas and he installed it only to take a drive and hear that annoying whistle that light bars can make, he was on a mission to find a solution to this problem. After several tries of temporary solutions and trips to Lowe’s, 3” plumbers PVC pipe cut in half, and foil…the prototype was born. Is this always how we solve problems… Lowe’s! From there AeroLidz was born! The AeroLidz cover is made of a special automotive grade Poly-carbonate that is extruded at infinity lengths. It has a special hardener and UV package for long term wear and tear. It has a 5 year warranty against yellowing and cracking. It is near indestructible and will take on any rock projectile you throw at it. If you are like me, I wanted my light bar to match my jeep colors, but no such luck or finding something I liked, so I just did a plain old light bar…boring!!! I knew about Aerolidz but still wasn’t quite sold on it until last year when I was at the Unlimited Off Road Show at Texas Motor Speedway and met Gabe in person for the first time. He had inserts of color film that go into the Aerolidz Cover!! Genius! Someone had created a solution and I had to get one. He was also working on personalized logos that are inserted into the cover as well, so I got with Gabe and wanted my Race Team logo on my insert. He knocked it out! I love this product! Now I can shine my race team logo for everyone to see. It actually pops better than a sticker. 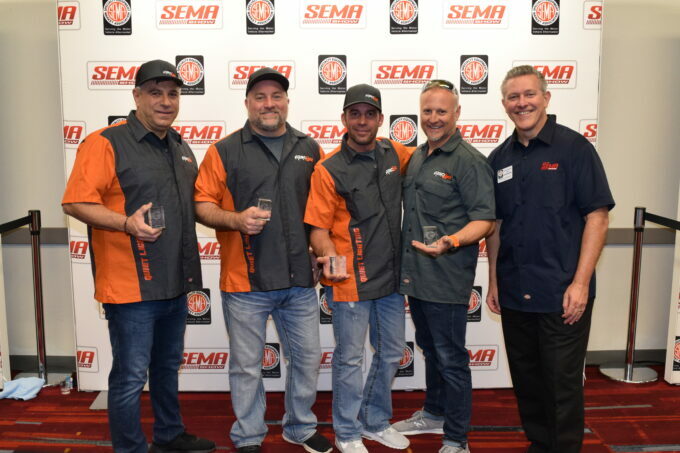 Gabe was also going to be at the SEMA show with his products. I was so thrilled for him to showcase Aerolidz. I have seen him and talked with him so many times on how AeroX Industries was doing and ran ideas by him. While at SEMA he was showcased in the new products hall and had a display to offer all the SEMA show participants. He has sold to all 50 states and 6 countries. 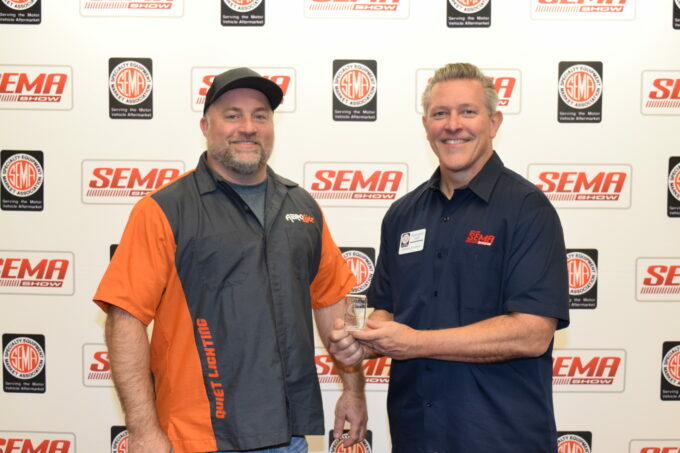 He won “Best New Product” at SEMA as well. 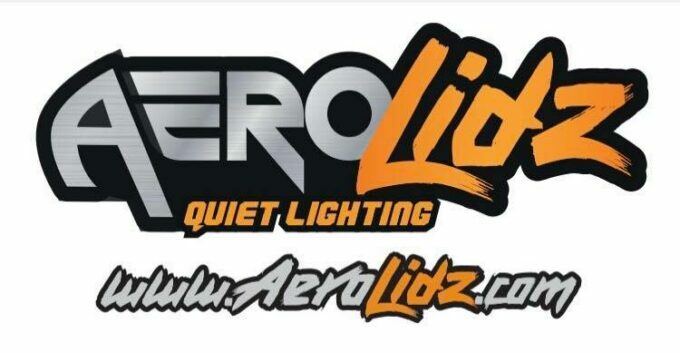 Installing the AeroLidz product is super easy and snaps in quick, with simple directions. If you haven’t heard or seen his product yet, please check them out! It’s one of my top favorites of accessories. It may not be everyone’s cup of tea but it does more than look nice and keep that annoying light bar whistle away. 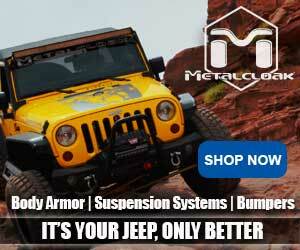 It also protects from rocks, mud, trees and anything else our big tires kick up! In today’s market of customizing your jeep, its rare we find something effective too! AeroLidz has done just that. Gabe has many more plans up his sleeve for his product. The demand is very high and why not? We like to make our jeeps fit our personalities! Get with them to customize yours today! I am giving AeroLidz 5 out of 5 Jeeps. Offroad Enthusiast, Aspiring Pro Offroad Racer, Hair stylist, Writer and Photographer. Rockstar Jeep Girl Racing. Oklahoma Offroad Chicks. Ladies Offroad Network Local Leader and Ambassador.